Welcome to the Cameron Estates CSD website. 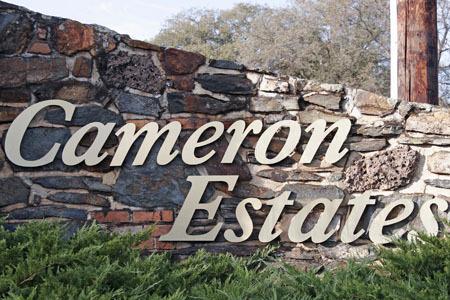 This site is all about the residents of Cameron Estates. It's sole purpose is to provide useful information and build the community. "The Mission of Cameron Estates Community Services District is to construct and maintain district roadways and easements, define riding trails, provide control over use and authorize restriction of access to roads, and to represent the residents in District matters as may arise before various regulatory bodies"
The Cameron Estates Community Services District Regular Budget Committee Meeting will be held on Monday, April 15, 2019 at 11:00 a.m. at 4692 Longview Road, Cameron Park. The Cameron Estates Community Services District Regular Board Meeting will be held on Thursday May 16, 2019 at 7:00 p.m., at Light of the Hills Lutheran Church, 3100 Rodeo Road, Cameron Park, in the Multi Purpose Room. The Board invites and welcomes you to attend! The meeting Agenda and the meeting packet for the March 21, 2019 Regular CECSD Board of Directors Meeting is available to view now. To see a copy of the Agenda Click on the link Current Agenda above. Click on the Documents tab above, and scroll to Attachments to get the meeting packet.